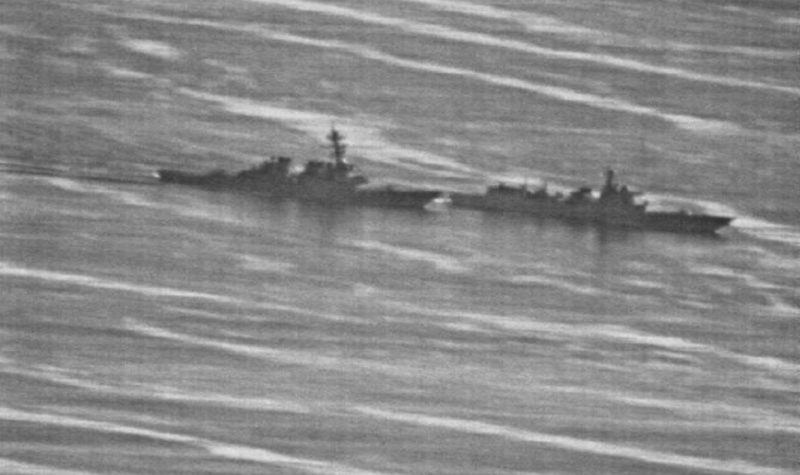 The recent close encounter between USS Decatur and the Chinese Luyang II–class guided-missile destroyer Lanzhou has attracted much attention in the media. There’s little doubt that the Chinese ship created a dangerous situation in breach of the Convention on the International Regulations for Preventing Collisions at Sea, which requires a vessel that’s overtaking another to keep out of its way until ‘finally past and clear’. For a 7,000-tonne displacement ship to pass within 45 yards of another of 8,000 tonnes—an allegation apparently confirmed by the still video footage leaked by a US source—in such circumstances was also in contravention of the Code for Unplanned Encounters at Sea, which enjoins warship captains to act with prudence. Both China and the United States are signatories to this admittedly ‘voluntary and non-binding’ agreement. But it’s possible to make too much of the incident. First, there have been much more serious encounters with Soviet units in the past—and close calls continue with Russian vessels. In 1988, the Soviet frigate Bezzavetny deliberately collided side-by-side with the American cruiser Yorktown in the Black Sea (an act known as ‘graunching’ or ‘shouldering off’). The destroyer Caron, in company with the Yorktown, was shouldered by a smaller Mirka-class corvette. The two American ships were conducting the same type of FONOPS as the Decatur in 2018—asserting their right to innocent passage through territorial waters without prior notification. 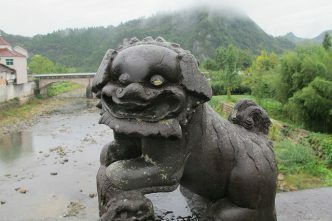 Second, contemporary FONOPS are not only about China. The most recent annual report by the US Department of Defense shows that the US Navy conducted such operations against 22 nations during 2017. 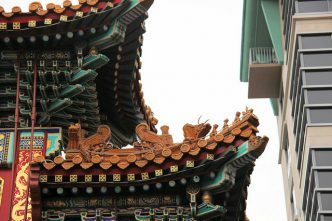 These include countries as diverse as Slovenia and Oman, as well as Malaysia, the Philippines, Taiwan and Vietnam. In the past, even Sweden has been challenged on its prior notification requirement. America’s FONOPS are not a comment on the validity of China’s claims (or any other nation’s claims) to islands or rocks in the South China Sea, but they do show the US position (shared by numerous other governments, including Australia’s) that artificial islands don’t generate territorial entitlements. The US Navy’s operations were initially focused on the American interpretation of the Convention on the Law of the Sea that warships aren’t required to give prior notification when conducting innocent passage through another nation’s territorial seas. China is of the view that such notification is required. More recently, FONOPS in the Spratly Islands have been extended to include demonstrations of the US view that artificial islands built over features which don’t ‘dry’ at high water—that is, aren’t above the surface—do not generate a territorial sea of 12 nautical miles, but only a safety zone of 500 metres. By passing both Gaven and Johnson reefs, USS Decatur dealt with both situations. Gaven Reef didn’t dry at high water before its artificial island was built; South Johnson did. But in stating that the Decatur passed by Johnson Reef, the US Navy didn’t specify whether the FONOP had been confined to South Johnson Reef. Vietnam has an outpost on North Johnson Reef and has been the subject of previous American operations for the same reason as China—to deny the claim that prior notification is required for innocent passage. Furthermore, the US isn’t the only nation to conduct FONOPS in the area. The British amphibious ship Albion recently conducted an operation near the Paracel Islands, most likely to deny the excessive baselines that the Chinese have drawn around the group. The French haven’t been forthcoming about whether their frigate, the Vendémiaire, conducted a FONOP in the South China Sea early in 2018, but they didn’t deny it. Yet FONOPS are not the real concern. Despite much rhetoric about sea lines of communication, the problem isn’t about merchant shipping. Although the ‘iron highway’ that passes through the sea is one of the world’s most important shipping routes, it lies well away from the Spratly Islands. China, as one of the nations most dependent on the passage of shipping through the region, has no possible interest in its interruption. In this regard, China’s constant claims that commercial shipping has never been and will not be impeded can be accepted at face value—in the absence of knowledge of any intent about future Chinese state behaviour that shows otherwise, short of major conflict. The real issue is military dominance of the sea. 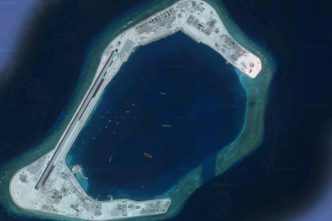 China’s artificial island building—along with its other works in the Paracel Islands, the progressive development of base facilities and sensors, and the increasing levels of naval and air activity—suggest that China aims to control the South China Sea as a whole. The motivation for this may include long-term plans to use the deep-water areas to the north of the Spratlys as a bastion for ballistic-missile submarines. There’s certainly also an element of ‘Great Wall’ thinking involved, which may derive from China’s still land-centric, continentalist strategic culture. How much further China wants to go is now the key question. Beijing’s constant challenging of the presence of foreign military units in the South China Sea suggests that it would like to prohibit any external presence. It has recently embarked on a diplomatic campaign to reassure ASEAN of its peaceful intentions. This has included a renewed enthusiasm for the long-delayed code of conduct for the South China Sea. Significantly, however, China has proposed a provision in the draft code that would prohibit any littoral state from conducting naval and air exercises with non-regional powers without the consent of the other signatory nations. The implied message is clear. 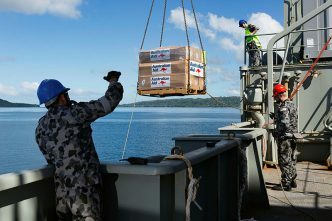 As to the response, it can only be through the continued presence of Australian and other nations’ forces, demonstrating both our own interests and our commitment to the South China Sea remaining a shared space, with the concerns of all the littoral states recognised in the manner of its use. James Goldrick is an adjunct professor at the ANU’s Strategic and Defence Studies Centre, an adjunct professor and a member of the Naval Studies Group of the Australian Centre for the Study of Armed Conflict and Society at UNSW Canberra, and a fellow of the RAN’s Sea Power Centre. 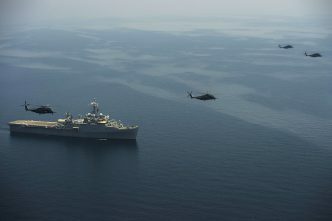 Image courtesy of the US Navy via gcaptain.com.